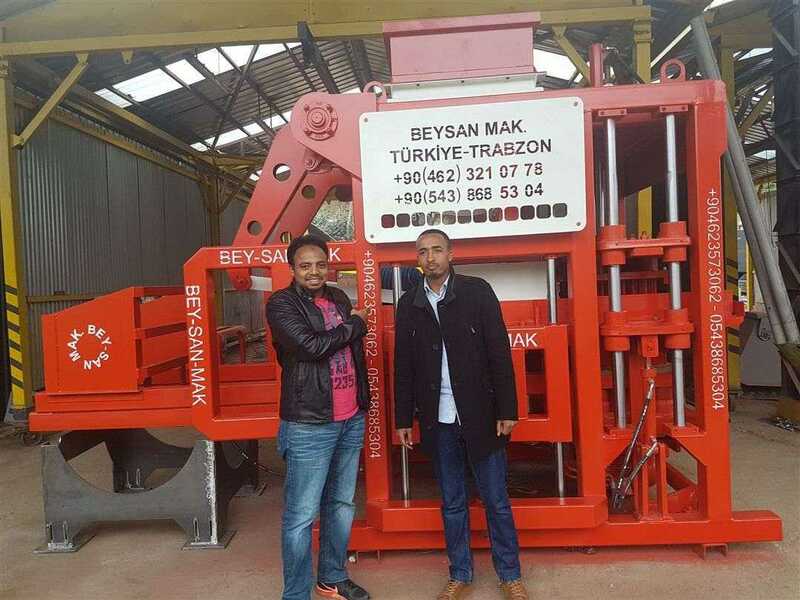 Mr Ferhan our Ethiopia Customer visited our factory Beyazli Group for buying brick making machine. 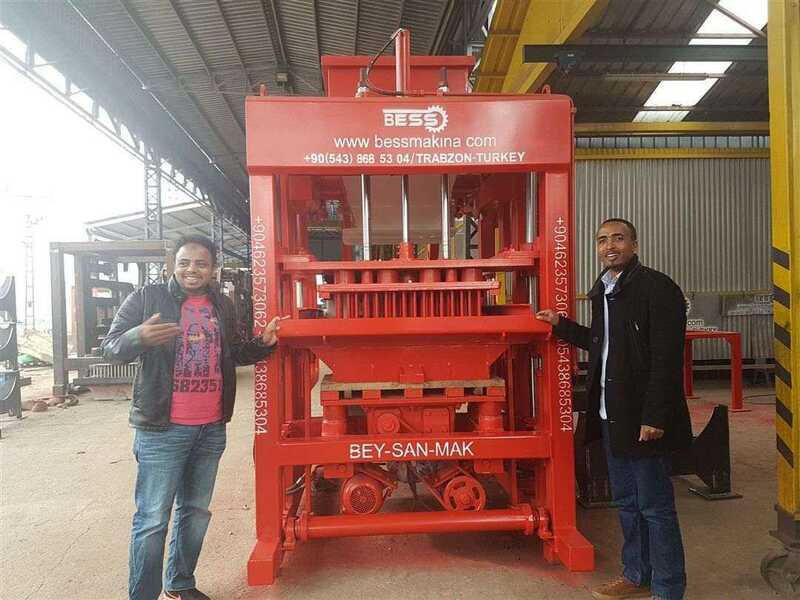 Beyazli Group is specialized in manufacturing brick making machine , concrete block making machine, paving block making machine, concrete batching plant for nearly 15 years, our machines which attract a large number of customers to visit our factory, this time the customers come from Ethiopia, due to the demands for brick making machine, they searched for us in the internet, through detailed communication with our expert sales agent, they have certain understanding of our factory and machines, for further cooperation, they come to visit our factory for deeper understanding. The general manager on behalf of the company extended a warm welcome to the visit of our Ethiopian customer and arranged careful reception work. They visited our factory production warehouse accompanied by our sales agent, under the guidance of relevant technician, the customers conducted a field test, the customers were full of praise for the superb performance of our equipment! Our company leader and related workers made a detailed answer to various questions raised by customers, rich professional knowledge and good workability also make a profound impression on customers. After the factory visit, we had details discussion with our company senior management about the further cooperation, hoping to achieve win-win developments in the future cooperative project. Semi Automatic System Is Made Like A Mortar Plant. Machine Is Designed To Work 24 Hours. It Has A Different Automation And Capacity System. Machine Is Very Fast And Has High Production Capacity. 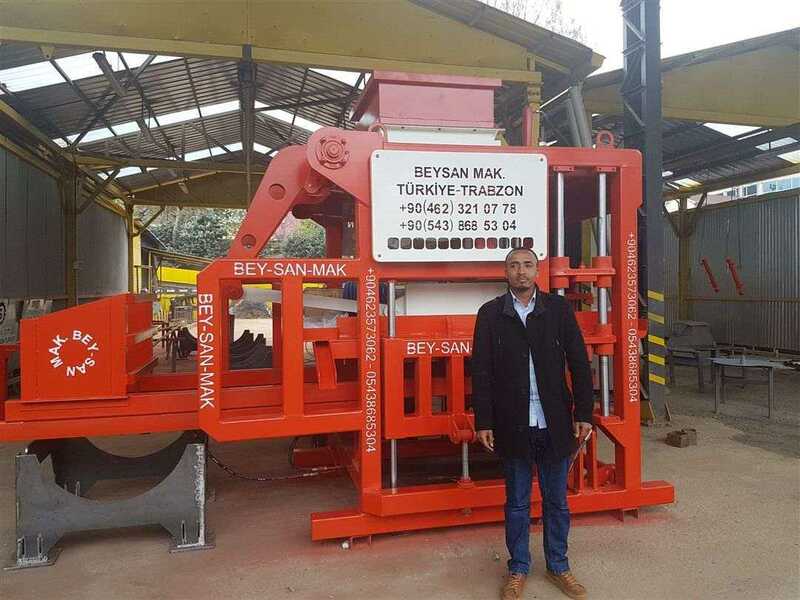 By Changing The Mould Machine Can Produce Any Types Of Concrete Paving Blocks - Hollow Blocks - Insulated Bricks – Different Curbstones – Asmolen And Chimney Blocks Which Height Must Be Between 5cm And 25 Cm. Equipment List With Prices, Prepared Related To The Installation Layout Is Given Below.